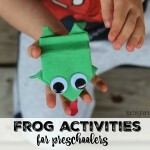 Kids are naturally curious about things in nature and frogs are very fun to study with preschoolers. 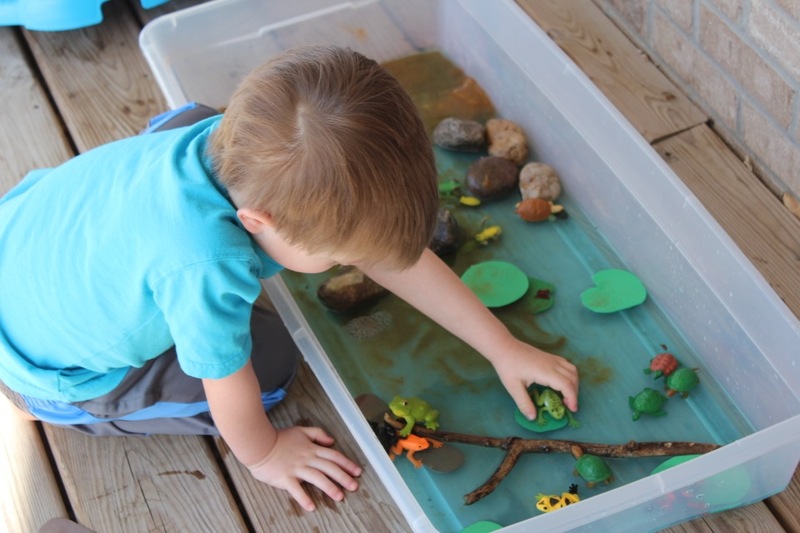 To learn about the life cycle of a frog, we made a pond sensory bin. because I knew my boys would love learning about them. 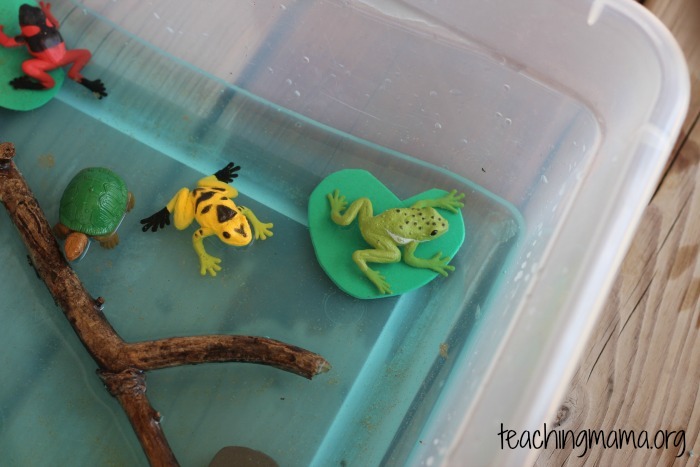 I love how this kit shows all the stages of a frog: eggs, tadpole, tadpole with legs, young frog, and adult frog. 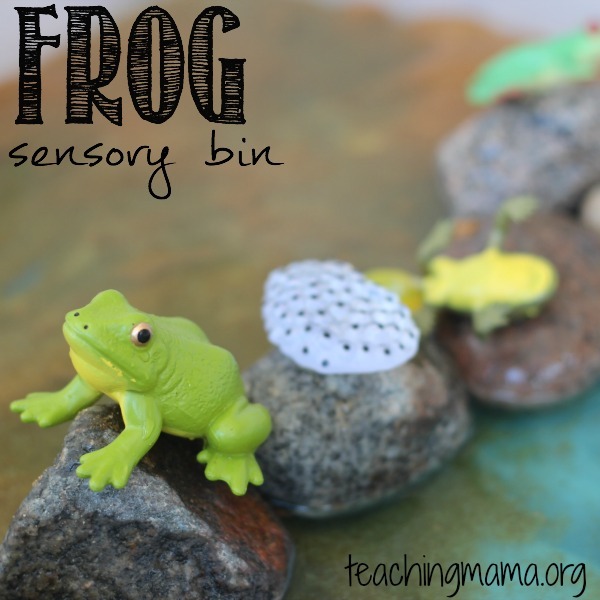 We used our frog kit with our pond sensory bin. My boys loved it! 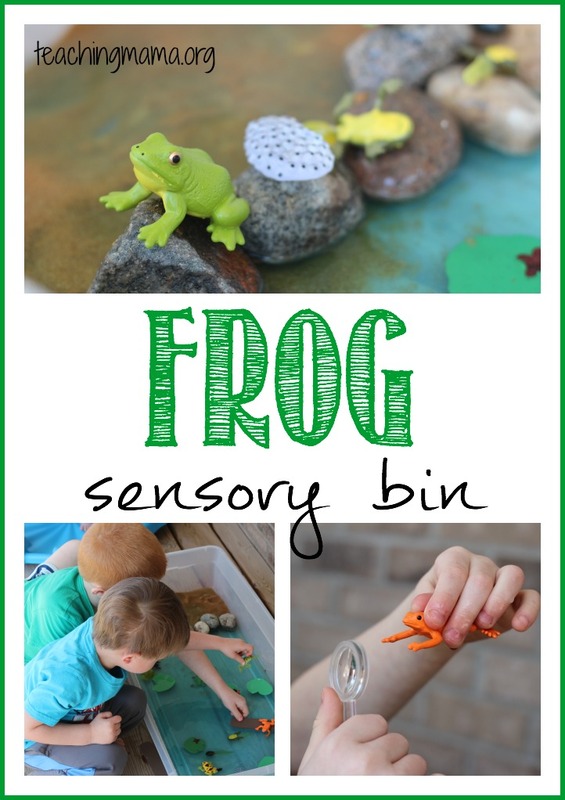 I set the bin out for the kids to play with and we briefly talked about the life cycle of the frog. Then I just let them use their imagination and played! 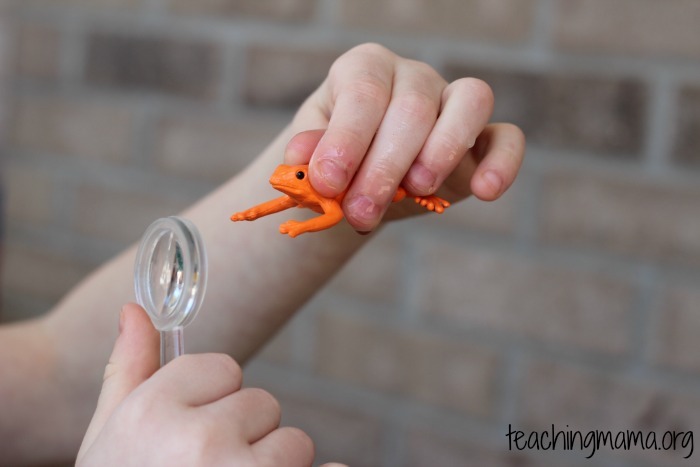 We got out the magnifying glasses to explore the frogs up close. 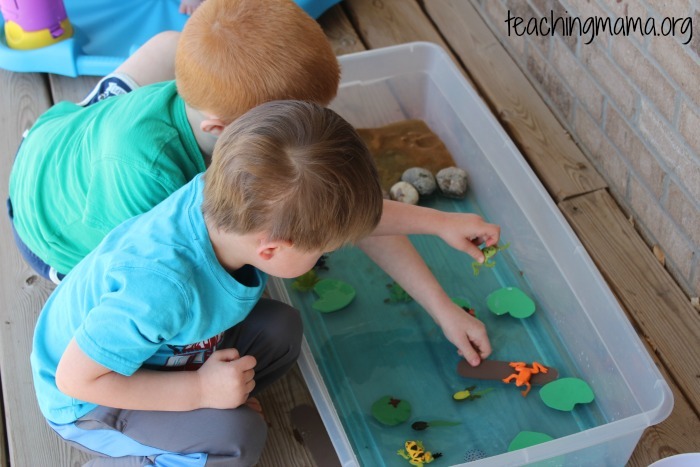 We added in some turtles since they came with our frog TOOB. 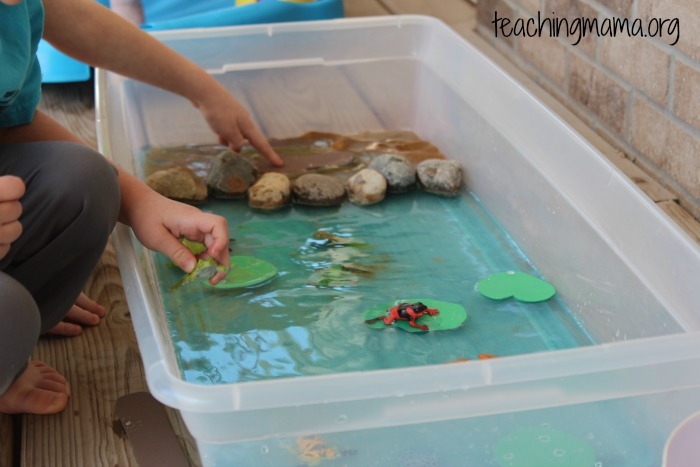 The kids loved pretending to be either the turtles or the frogs. 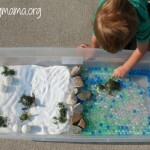 We also got out some gems and the kids built some “homes” for the frogs. 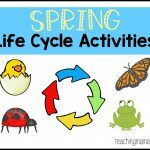 We talked about how the frogs lay eggs in groups and that they need to be in the water or they will dry up and die. 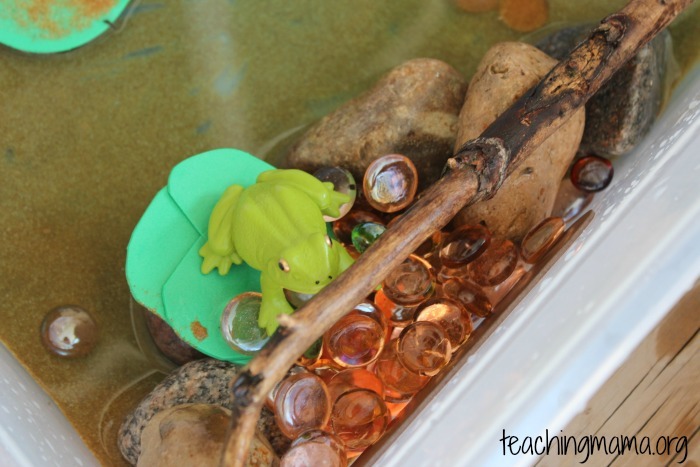 We also discussed how the frog changes as it gets bigger. 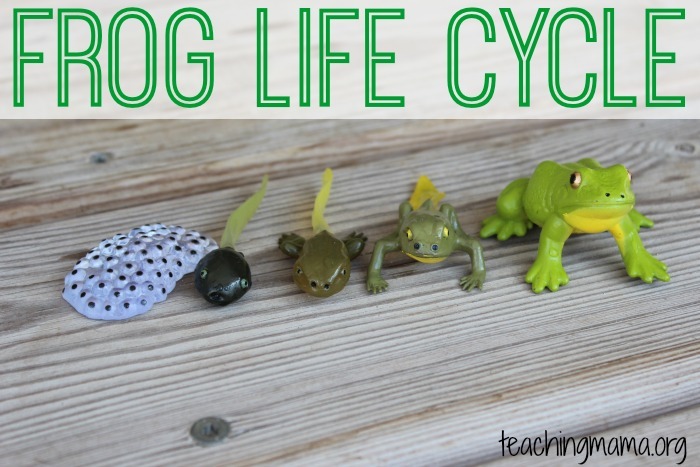 I loved using these creatures to explain the frog life cycle. 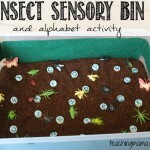 This activity would also be great to do in the sink, like we’ve done with these sensory sinks. 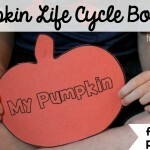 I’d love to know…have you tried out these life cycle kits out? Oh how ironic!! It is a great set. 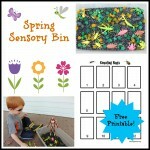 I look forward to seeing your sensory bin!! What a great idea. I think my daughter would love it. it’s a shame we don’t have Michaels here in Germany.